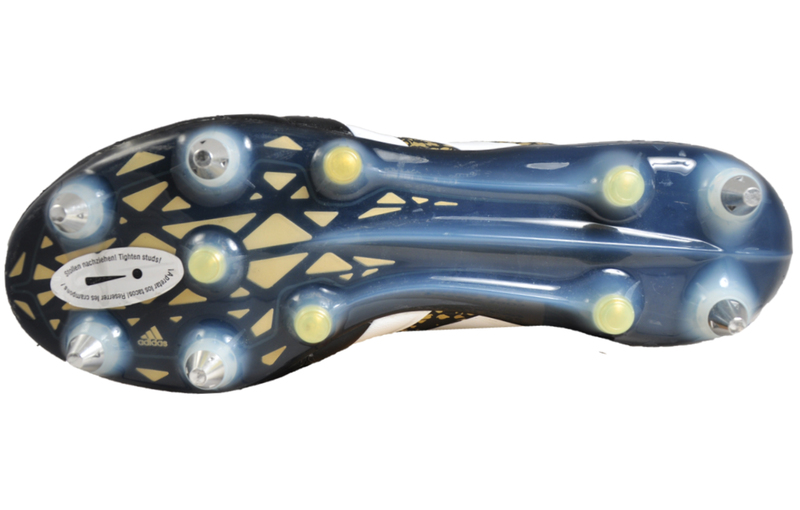 The Ace 16.1 is another sure-fire winner from the Adidas football camp. 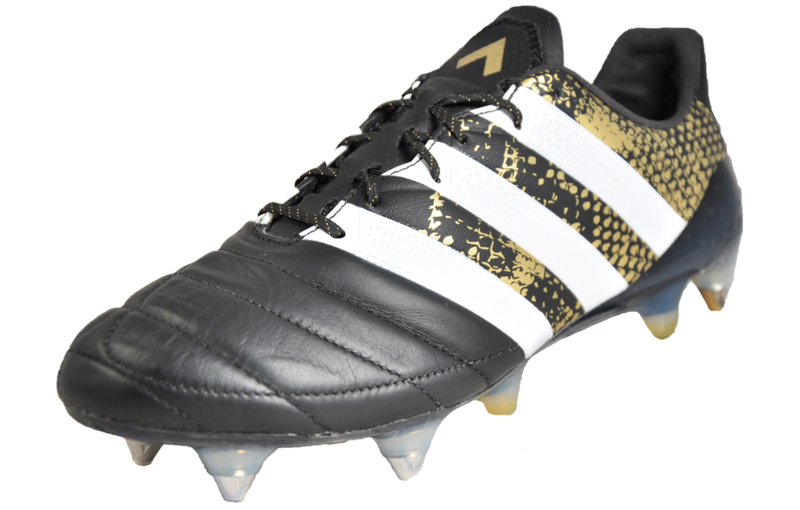 These pro football boots which will not let you down as Adidas have combined innovative design with striking looks to take you to the top of your game. 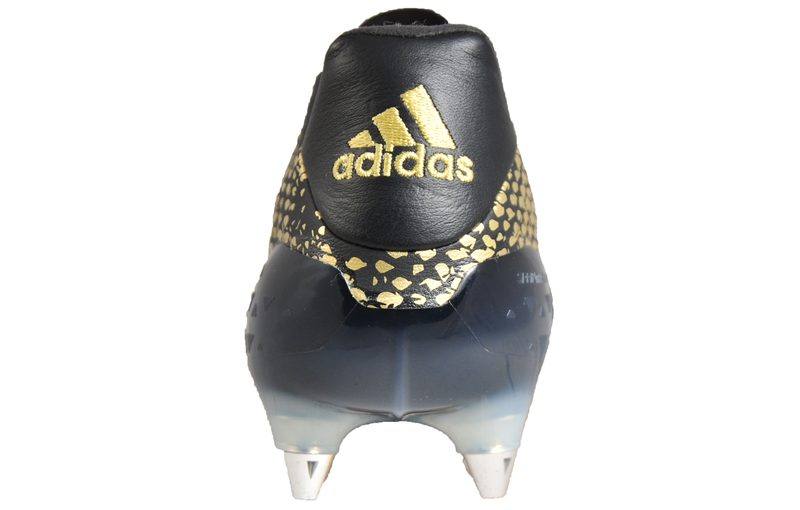 The Adidas Ace 16.1 comprises of a soft premium K-leather upper which is built to mould around your foot for a personalised fit while inside a lightly padded contoured footbed keeps your foot cushioned. 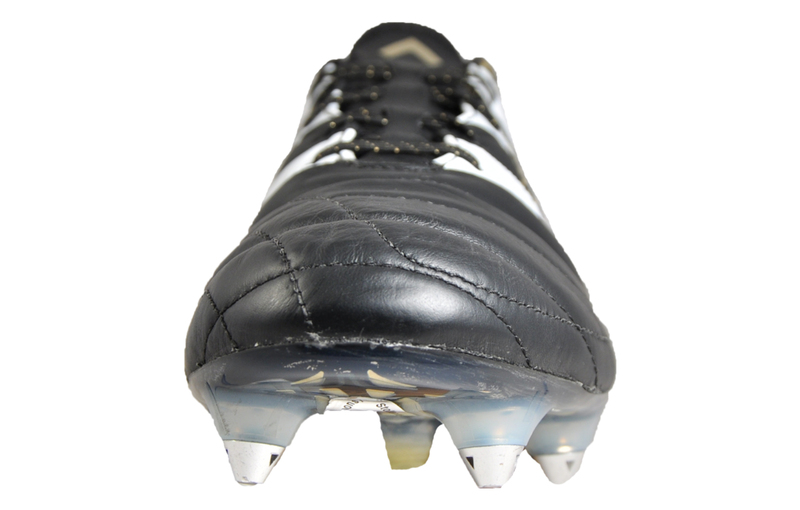 The hardwearing and lightweight sprintframe outsole with screw in metal and ground studs give increased grip and mobility for perfect traction on soft ground surfaces enabling you to command the field. 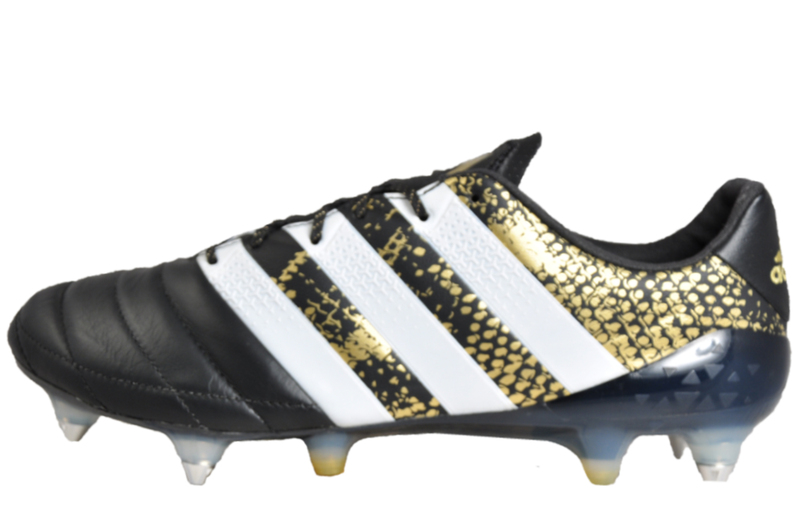 The Ace 16.1 comes in a classic black with the trademark Adidas 3 stripes in white adorning the upper and accents of modern gold to the sides, on the studs and heel panel, stylishly finished with a logo in gold on the tongue. 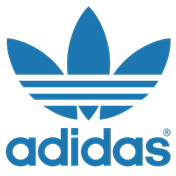 Adidas football boots are renowned for their performance, impressive technology and impeccable standards with no compromise on style, so it is no surprise that they are the choice of football legends worldwide. Feel and look like a pro at a price you can afford.